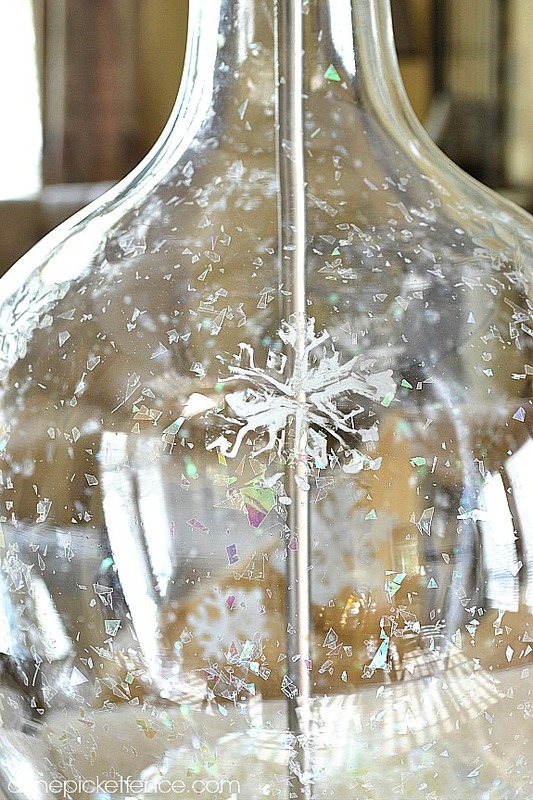 Why on earth am I showing you an etched glass snowflake lamp in August? Why would I want to dig through my Christmas bins in a 90 degrees attic and clunk my head on the rafters over and over again? Why would I risk my family looking at me like I had lost my mind working with fake snow and snowflake stencils? 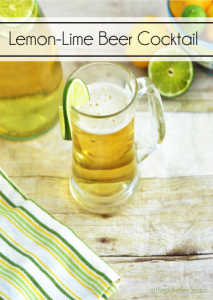 I was issued a challenge by the folks at Hometalk and Lamps Plus. 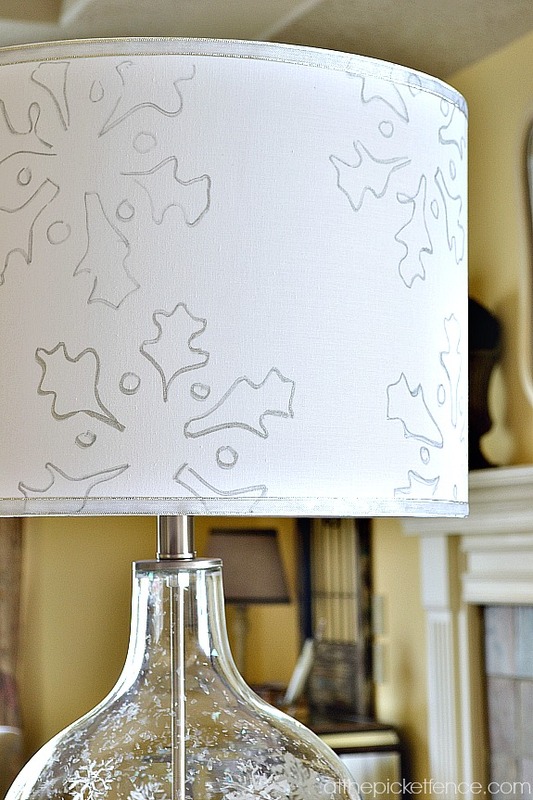 Take this plain lamp and transform it for the holidays. And when I’m issued a challenge, well, you better believe I’m going to accept it! 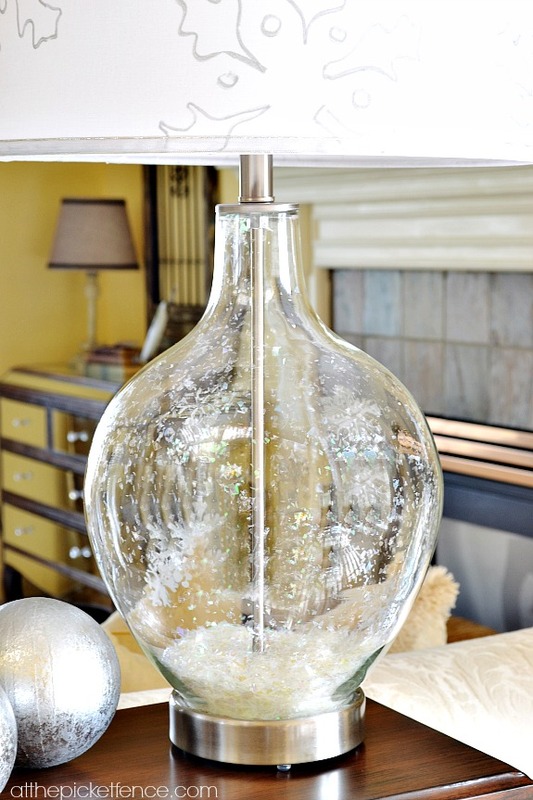 I was really wanting to find a way to “fill” the lamp while still celebrating the simple beauty of the glass. I’ve always wanted to try using glass etching cream and this seemed like the perfect opportunity. So, with my 40% off coupon in hand, I picked some up at the craft store and began my glass etching adventures. I scattered them randomly around the glass base and I may or may not have been jumping up and down with excitement as I wiped off the cream (after waiting 15 minutes per instructions) and saw the little snowflakes etched into the glass! I mean, is this stuff cool or what? I’m going to become a glass etching machine after this project! The base of the lamp slips off easily for filling and after dumping in a bag of faux snow I picked up the entire base and swirled it around so that some of the flakes would stick to the sides. Ahhhhh the power of static! A large snowflake stencil (which was simply printed out from a template I found online) was used to carry the theme onto the shade and tracing each flake with a silver leafing pen adds some sparkle. I finished it off with a silver ribbon detail on the top and bottom of the shade. I know it’s August. 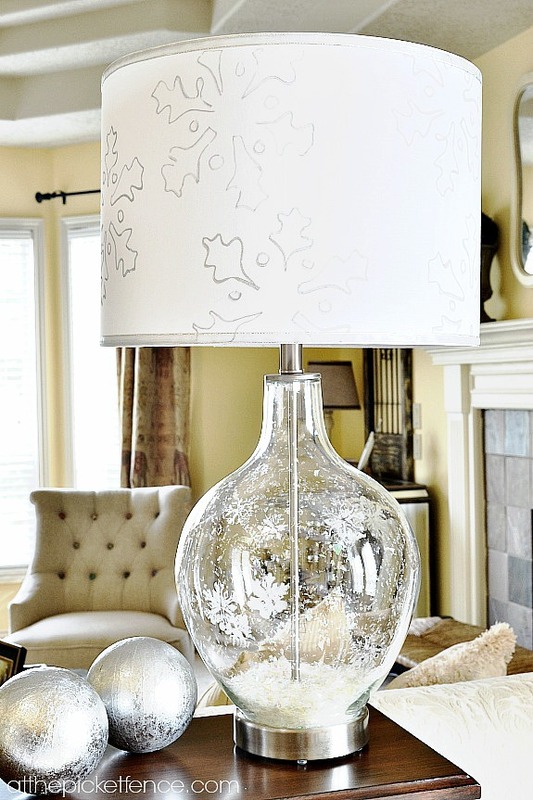 I know that I had hydrangeas from my yard sitting on the coffee table in the same room as this lamp. I know that it’s going to be in the 80’s all week and we are still wearing flip-flops. 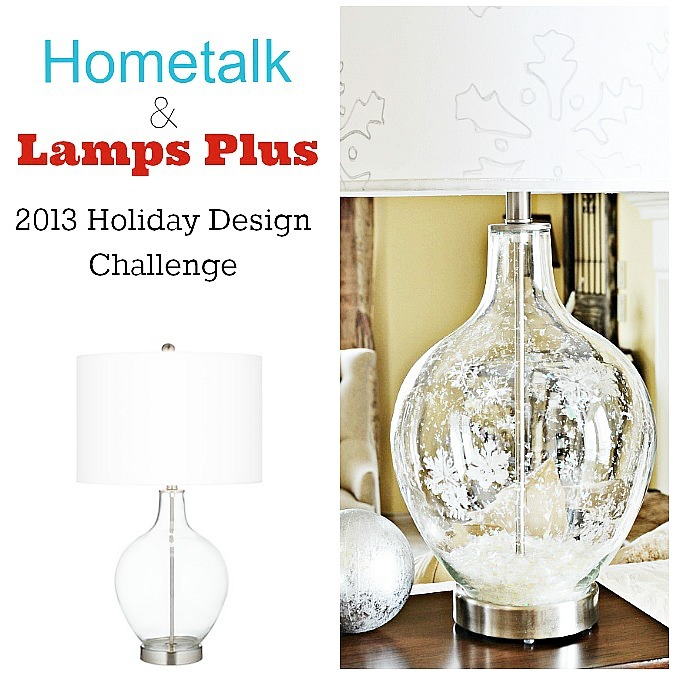 Thank you so much to Lamps Plus and Hometalk for allowing me to participate in such a fun holiday challenge! Three winners will be chosen and I’m definitely hoping to be one of them! 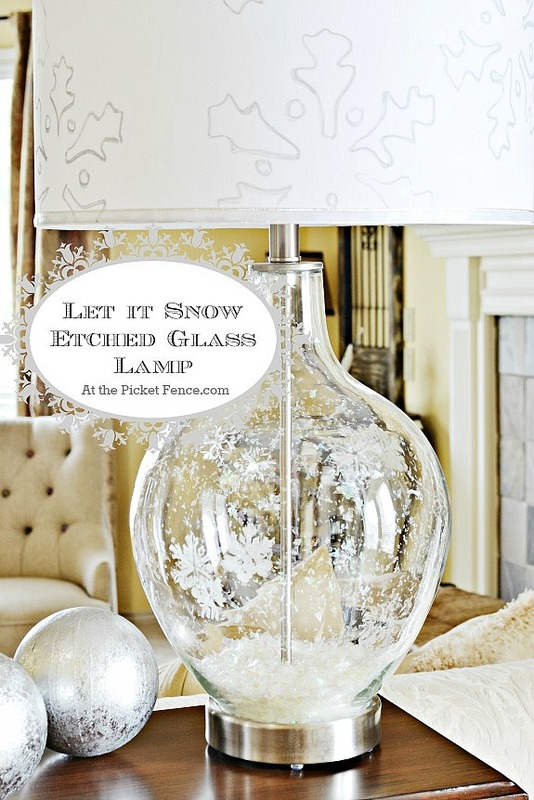 24 Comments on "Etched Glass Snowflake Lamp! Let it Snow!" 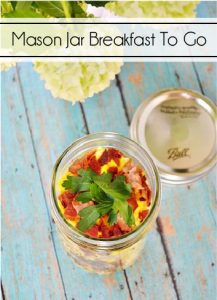 Vanessa, this looks amazing! I’m so glad I didn’t get this project because I’ve been so amazed by the ones I’ve seen so far! Y’all are intimidating! So cute Vanessa… it looks like a little snow flurry. I love it! Vanessa, you have my vote! This lamp is awesome and I do believe one or more companies will copy your inspiration and these lamps will be on floor shelves come November. You are definitely NOT crazy; I get the Christmas Spirit every year in July. 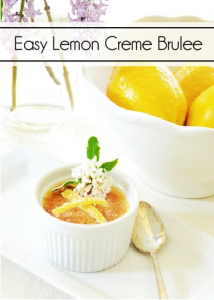 Pull out my old Christmas magazines/cookbooks and plan for the Season. I’ve never etched on glass but I plan on taking my 40% off coupon and buy some cream. Hope you win!!! Oh your lamp is so pretty. 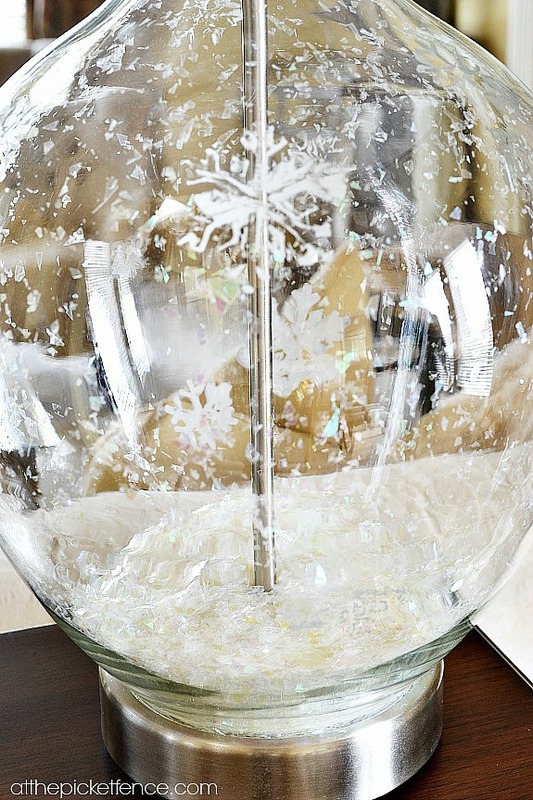 The snow inside and the etched snowflakes are so beautiful. I love the lamp. You did such a great job. I hope you win!! That is just brilliant! Love how it sparkles and I bet it looks awesome at night! It does look awesome at night Ashley! Although I was only able to keep it out for a bit because it didn’t quite coordinate with my summer decor. LOL! It is fabulous! Aren’t you so smart. Oooo, so many things you could do with this lamp! Love your choice, it is so very pretty! Makes me want to decorate for Christmas and it isn’t even October. Loveliest lamp I have ever seen. Oh goodness! Thank you so much for such a sweet compliment Vicky!